and I noticed more than a few that were showing city hall weddings. I have a link if you scroll down, but first let me say this. to be wed has been with us through the ages. When did it become cool? Mainstram? Desirable? Chic? 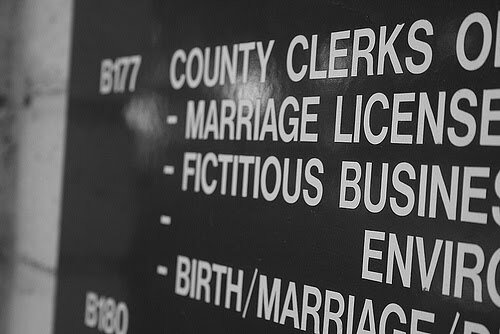 but also as a person who sees marriage as more than a jaunt to the courthouse. 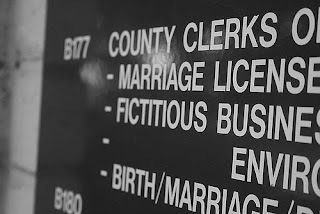 If you got married at the courthouse, good for you. I have done flowers for a quick jaunt to the courthouse. I am behooved by the hipster culture. I am just not cool enough to understand. Please understand that I *get* that weddings can be over the top, out of control, terribly extravagant. But has the pendulum really swung this far the other way?!? With over 100 comments agreeing how wonderful it is? I can wear overalls to the courhouse anytime. To pay a traffic ticket. Heck, I am from the rural midwest. People wear overalls everywhere. We DO have enough sense not to wear them to a wedding. Especially if you are the BRIDE! Do people really want to wear overalls to the courthouse for their wedding? Weddings are sacred, special commitments. How often can you wear a bridal gown? Don’t answer that Liz Taylor, Zsa Zsa, Liza Minnelli or William Shatner. Target advertises there for heaven’s sake. She has scads of sponsors. She writes for Glamour magazine. My audience is crickets. Chirp. Chirp. Courthouses are for stiff, germ-y, troubled encounters. Who looks forward to anything at a courthouse? And overalls are for farmers. Maybe I am just too traditional. Chalk it up to my midwestern/southern environment. Or maybe I hold marriage and weddings and flowers as something dear. I am officially an old fart.